Yesterday we became Aunties to a cute little girl named Eloise Joy. She is very sweet. Before she was born we said we weren't going to spoil her that much, but now that she is here how can we help but to make her cute little things. We already have made her a knit hat and a little pair of pants, and many more items for her room and for her to wear are in the makings! We are so blessed to have her, she is such a gift from the Lord. 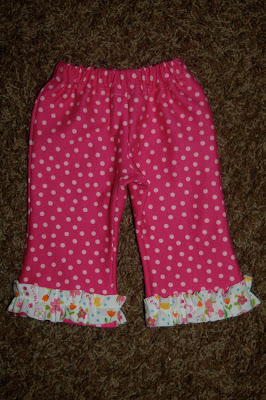 She is so tiny, being born 7 weeks early, so we are learning to make clothes smaller than we ever have! It is a fun challenge, especially for such a cute little girl. 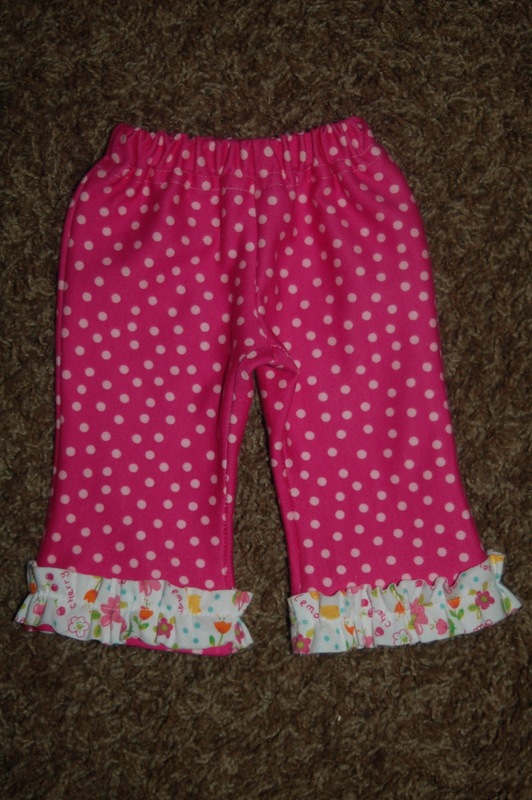 Those are darling little pants for such a beautiful girl! WOW! Congrats Aunties. She is just beautiful. What a blessing from above.